From 1993 to date I have served as Supervisor & Associate Supervisor. I serve as a Member of the Athens TEI Postgraduate Program Committee & the Student Practicum Committee for the Radiology Department. From September 1989 to date I have been teaching four classes at the Athens TEI, initially as an Adjunct Assistant Professor, then as a Regular Assistant Professor and from 1996 as a Regular Professor A, approved by the Ministry of Education. From 1995 to 2000 I worked as a supervisor of the Athens TEI Radiology Department. In 2000 I was appointed head of the 2nd group of subjects (Radiotherapy, Radiobiology & Medical Physics). 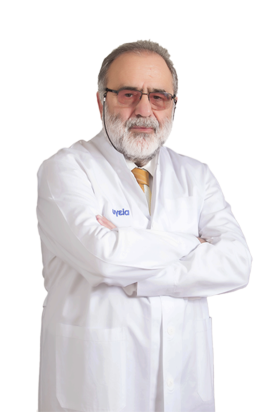 I teach the following subjects: Radiation Oncology I, II, III and Radiation Biology from a book I co-authored with Mr N. Throuvalas, Director of the Radiation Oncology Clinic, Metaxa Cancer Hospital, Piraeus, entitled Elements of Radiobiology & Radiation Oncology, Litsas Publications, Athens, 1990. I am also a Professor at the postgraduate program of the University of Athens School of Nursing, teaching Radiation Biology, as well as the new Interuniversity and Interdepartmental Postgraduate Program in Medical Physics, teaching Clinical Radiotherapy. For a number of years I served as academic head at the State Scholarships Foundation (IKY), in the Radiation Oncology & Radiobiology sector. I was also invited by the Cypriot Ministry of Education as a member of the panel of judges fro evaluating the Radiology/Radiotherapy Department, European University of Cyprus. Another book I wrote is, Fundamental Principles in Radiation Biology, taught in the 3rd semester at the Athens TEI, after having been approved by the competent TEI committee. In 2000, I wrote a two-volume book (800 pages) entitled Radiation Oncology, Litsas Publications, Athens, 2000 According to comments by esteemed colleagues, it is one of the most important books in Europe on the theory and practice of nuclear physics in radiotherapy and oncology and contains all the material in radiobiology. I have also co-authored a book entitled Radiobiology & General Cancer Principles along with Oncologist Paris Kosmidis, which is taught in higher education institutes. These books are taught in higher education institutes in Greece, as well as the European University of Cyprus. Scientific Journal Radiotechnology in Oncology, Diagnostic Radiology & Nuclear Physics, ISSN 1108-7455, No. 29, Fall-Winter 2015-2016, “Primary Breast Lymphoma: Case Study & Bibliograpgy Review, E. Tomara, S. Zervoudis, S. Fotopoulos, A. Bothou, E. Diakatou, G. Papadopoulos, G. Iatrakis, G. Tsakiris. Zervoudis, S., Iatrakis, G., Tomara, E., Bothou, A., Papadopoulos, G., Tsakiris, G., “Main controversies in breast cancer,” World Journal of Clinical Oncology,” Volume 5, Issue 3, 10/8/2014. ISSN 2218-4333. Hammoud R., Sheim S., El Kaissi T., Pappas E., Maris T.G., Vapoutsaki V., Tsakiris G., Al Hammadi N., “Evaluation of a 3D pre-treatment plan verification process for stereotactic radiosurgery (SRS) treatments,” 55th ASTRO Annual Meeting, Atlanta, Georgia, USA, 22-25/9/2013. Papadimitroulas P., Spirou S., Loudos G., Tsakiris G., Zaimis G., Hammoud R., Al Hammadi N., Pappas E., “On the Dosimetry of the Brachytherapy Nucletron-MicroSelectron Ir-192 Classic source following the TG43 Formalism. Use of the GATE Monte Carlo Code,”,2nd International Conference on Bio-Medical Instrumentation and related Engineering and Physical Sciences, Athens, Greece, 21-22/6/2013.